During the month of May, we will be discussing our 5th question of the 5 questions every business owner should be able to answer and this month is WHAT. Things like what did we do — measuring, metrics, results — and did we make any money for instance. So, what are these 3 magic metrics Jon? They’re not magic and I have mentioned them before. One of the problems we have these days is the amount of information we have available to us and it gets thrown at us left, right, and center. So with all of that, what do you measure? 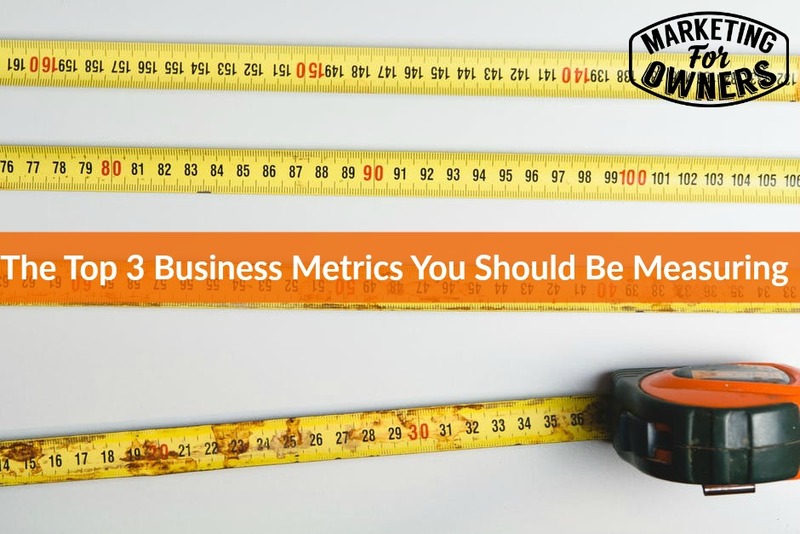 Among everything you can be measuring, there are 3 things that matter to you. It is not necessarily the profit but the margin that matters. When you start off in business, you may not make enough money to have a profit. If you only do 10,000 pounds in sale because you are new, your profits may be small because of your overhead. However, if you can generate 100,000 pounds in sales, your profits may be large because the fixed overheads are paid for and your margins are larger. And that is why you need a fixed margin. You cannot survive on 15, 20 or 25% profit margin. It is extremely unlikely. And my advice is that you don’t compete with discounters because only one can be cheapest. I am not going to tell you how much profit you need to make. only you can decide that. I will tell you that you will have to spend money to make money. You will have to pay for advertising, referral commissions, etc and you need a margin to be able to do this. Very simple — you will have to spend money in some form to get a customer. If you have exhausted all the ways to get a customer for free, you will have to go out and pay to acquire a customer. It may be through Google Adwords, Facebook advertising, inserts, and it may simply be your time. Remember your time costs money. There is no such thing as free. If you are doing everything, writing things, passing out leaflets — you are using your time. You need to know what it costs to get a customer. Here is an example for you — if you spend $100 pounds and you get one customer, that customer is the only one who buys, that customer did not cost $1 pound, that customer cost $100 pounds. If you can increase the number of customers and double it, then each customer cost $50 pounds. If you can get 4, then the cost is $25 pounds. See — if you can reduce the cost of acquisition, you can raise the profit margin. You can know at this point what you can spend to make more money. There are many ways for calculating this. What I recommend is not taking this too literally in their lifetime. For instance, I sell fire extinguishers and we maintain them and service them once a year. We have some customers who go back as far as 15 years. They are probably still using the people that bought my company out. That is a lifetime, but don’t think that they will all be that long. However quite often, when you are factoring in the acquisition cost for a customer and your profit margin, if you spend more than you are getting in, you may not be able to get the full time lifetime value. When they talk about lifetime value, you need to think about cash flow coming in and that is what you need to measure. Today is Monday and that means it is time for a book for the week. Today I am recommending Launch by Michael Stelzner. 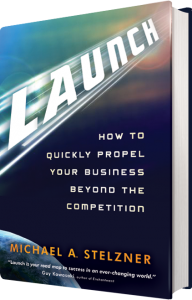 There are other books called Launch, but this is a great book to read if you are wanting to start and launch a business today. It is effectively go through an entire strategy for how he set up his business and went from nothing to a multi million dollar business. I will be back tomorrow with another great tip so be sure to tune in.